The Ponoi River Company and Atlantic Salmon Travel Ltd. Long-term Ponoi River Company CEO Steve Estela will now serve as Senior Advisor for AST Ltd. Steve Estela will work alongside Julia Vlasova (former General Director for PRC in Murmansk) to represent a new company called Atlantic Salmon Travel, Ltd. (AST Ltd). AST Ltd. will operate internationally, and together with Frontiers Travel as the exclusive agent, AST Ltd. will maintain guest relations internationally, oversee quality control of Ponoi Camp services, and provide support services to participants in international fly-fishing expeditions to various destinations. The addition of AST Ltd. will not change anything in terms of the commitment to operations on the Ponoi River; all involved will continue to do their best to make sure that Ryabaga Camp and all PRC operations maintain the highest possible standard of service. What is Atlantic Salmon Travel Ltd.? 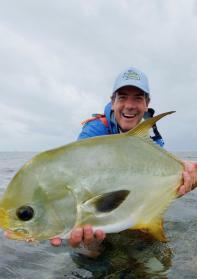 AST Ltd. serves in conjunction with Frontiers Travel as a marketing entity for angling operations on the Ponoi River. Additionally, AST Ltd. works with Ponoi River Company clients across the globe, ensuring the highest level of quality and service be delivered at the Ponoi River fly-fishing camps. What else does Atlantic Salmon Travel Ltd. do? In addition to functioning as a marketing entity for fishing opportunities on the Ponoi River, AST Ltd. organizes custom-made exploratory trips and expeditions for international clients, primarily Ponoi River Company's regular guests. AST Ltd.'s primary destinations include Russia’s Siberia, Russia's North and Far East, Seychelles, Argentina, Norway, Africa, and Bhutan. AST Ltd.'s mission is to provide clients with an unforgettable sporting experience that exceeds expectations in every detail. AST Ltd. pays attention to the smallest details from start to finish, ensuring a true, once-in-a-lifetime experience. AST Ltd. staff maintains a vast knowledge and experience base in organizing exploratory fly-fishing expeditions to the most remote and logistically complex locations worldwide. AST Ltd. actively engages in the selection and training of the staff that provides service to our clients, maintaining permanent, on-site supervision in an effort to ensure the highest levels of service and safety. Steve Estela has over 25 years of experience managing elite fly-fishing lodges in the most remote angling destinations in the world. Steve served as Ponoi River Co. CEO for over 11 years, and his wealth of experience has enabled him the skills to supervise all facets of quality, service, and safety for AST Ltd. guests. 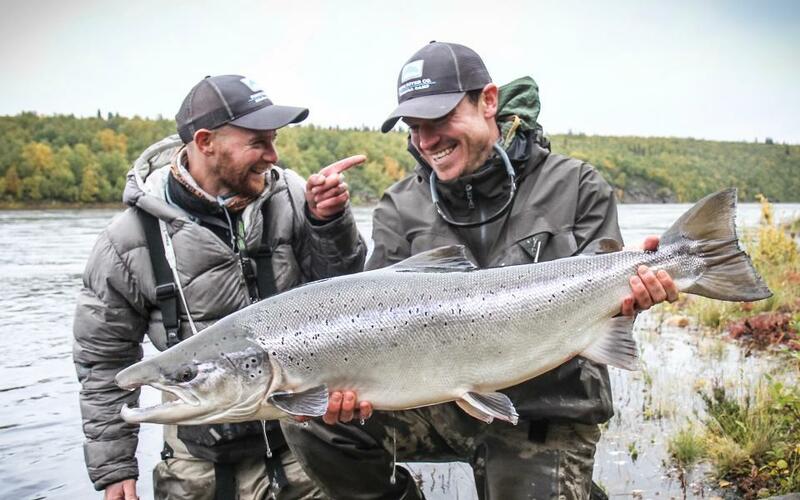 Primarily based in South America and Western Europe throughout the year, Steve spends around 4 months in Russia every year looking after AST Ltd. clients that are visiting Ponoi or taking part in related fly-fishing expeditions. With 5 years of experience as General Director of the PRC Murmansk office, Julia brings ample expertise to the role of managing International relations between Frontiers Travel and AST Ltd. clients. Based primarily in South-East Asia throughout the year, Julia maintains constant contact with AST Ltd. clients and staff alike, ensuring that the operational and accounting sides of AST Ltd. function at peak efficiency. Reid has been assisting with Ponoi River Company's communications for more than 7 years and has been instrumental in the editing and writing of both Ponoi books. His inputs on all written communications are a great added value to the final product. Reid will continue to collaborate with AST Ltd. 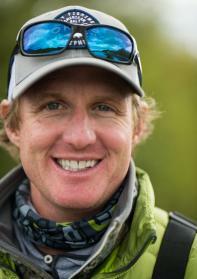 Primarily based in the US throughout the year, Reid will oversee quality control of all AST. social media and marketing communications while also assisting and advising Ponoi River Co. on these matters.